Moving your WordPress site can be a daunting task and can easily put you off moving it to a new hosting provider due to the technical challenges. Luckily we are now offering a service to help you move your WordPress site to our hosting. We will also ensure minimal downtime by setting the site up on a temporary address to make sure the site is working properly in it’s new environment. Then when you’re ready you just need to transfer or re-point your domain and your site hosted with us will be live. 1. Order Hosting using the “Use an existing domain without transferring” option. This won’t affect your current site and will allow us to set-up your site on a temporary address. 4. Once you’re happy the site is working simply transfer your domain or point it towards our servers – click here for details. 5. Your site is now live on our servers! Please note if you have an email address associated with the site this will be affected – for full details on your options regarding email accounts please contact us. 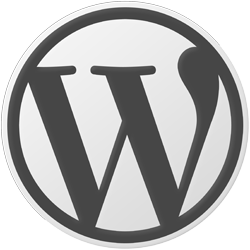 All our packages allow WordPress to be hosted so you can get your WordPress site moved to a new home for just £14.99 per year. For a full comparison of our hosting packages please visit our WordPress hosting page.